Aero Show in Bangalore is a bi-annual affair which is quite a big event and has a lot of fan fare. Who wouldn’t like to experience the latest Fire Power and Aircrafts that Indian Defense possesses. Above all its a bonus that you can see them in action performing hair-raising stunts for the crowd. The tickets get sold out pretty fast for this event. So if you have not registered yet, here is how you can register. The tickets even today are unfortunately available through AXIS bank branches. There are rumors of tickets being available in some popular spots like Forum, MG Road, Garuda Mall, Phoenix MarketCity, etc but I cannot confirm the same. Based on the official communication from aeroindia I have listed the branch details of Axis Bank where you can buy the tickets. Also listed down the guidelines and registration details. 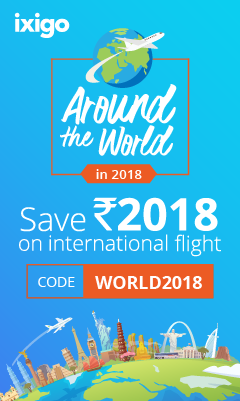 If you are flying from another city or need to book airtickets due to any reason, click here to uncover a way to save Money. Update – Added more info for visitors and admission policy towards the end of this post. If you have attended the Aero Show already, please provide your experience in the comments to help others. It is mandatory for visitors to carry original Govt. issued valid card (Passport, Voter ID, Driving License, Govt ID), photo ID, details of which are provided at the time of online registration, to the venue. 1.Tickets for Aero India 2015 will be sold from selected banks. Details will be intimated later through newspaper advertisements and website. 2. Entry gates will open one hour before the show timings. 3. Entry will be given against valid photo ID only. (B) Bring your ID (Passport, Voter ID, Driving License, Govt ID). (C) Collect your entry pass. 4. All General Visitors will be required to undergo security check. Kindly co-operate. 6. Please carry your registration id and / or proof of online payment to facilitate issue of ticket. 7. Food items will not be allowed. 8. Following items will not be permitted: Firearms, weapons, knives (including pocket knives & multi tools), replica or toy weapons, laser pointers, packets of any kind. 9. Registration is not required for children below 5 years old. 10. The Organisers reserve the right to deny access to any individual. 13. Ticket once sold is not refundable / non-transferable. 14. Children between 6 to 16 years old can provide the details of their school issued id card or accompanying parents id card as a proof of verification. 15. General Visitors are permitted in Air Display Viewing area on any day except 18th first half that is upto 1300 hrs. After that ticket is valid for one entry on any of the day. 16. Ticket will be available in all the mentioned axis bank branches from 2nd Feb 2015 onwards. A lot of questions coming in are around admission policy and tickets. So adding some more information I found below. A lot of people are saying that Tickets are NOT available at AXIS banks any longer and can be collected directly at the venue. If some can confirm this, that would help others. Aero India 2015 is open to Official Defence Delegations, Ministry of Defence visitors (India and overseas), Exhibitors’ Invitees, Media and Trade Visitors from the industry. It will be open to general public on the last day of the show as per promulgated timings. During the show days, there will be a limited onsite registration facility. Please carry your passport type photograph on digital media. Kindly expect and bear delays. All Exhibitors, visitors, guests, contractors, service providers and invitees acknowledge that admission to Aero India 2015 will be allowed only against a valid admission badge / invitation / ticket issued by the organisers and carried by the person named on it. The Badge remains the property of the organisers. Children below 16 years will not be permitted on business days ( 18 -20 February 2015). Rights of admission are reserved by the organiser. Admission is restricted and is only against valid invitation /entry badge issued by the organisers. Any unauthorised individual /entry if observed will be removed from the exhibition. Such un-authorised entry may also lead to prosecution. The Organisers reserve the right to conduct identity checks as a condition of entry. Any person found to have registered or registering to attend Aero India 2015 using false / misleading information or credentials or deliberately with-holding information will have their application automatically rejected and entry denied. Such un-authorised actions or entry attempts may also lead to prosecution. Dress Code : All persons attending the exhibition must wear business dress, lounge suit, national dress or service dress. Any person(s) attending Aero India 2015 must not take part in any canvassing, leafleting (exceptasauthorisedformedia), demonstrations, objectionable behavior or any activity which may disrupt the show. The Organisers reserve the right to exclude or remove anyone from Aero India 2015 who does not comply with this admission policy or who they reasonably consider are likely to break any of the policy rules. All three types of visitors can collect tickets (purchased online) from the selected branch of Axis Bank(Address and Dates are available on website) as well as from onsite ( Date will be published very soon) .To collect the ticket visitors need to bring the printout of confirmatory email sent from our side and original ID proof used during the registration. If you are booking ticket online, our system will redirect you to online payment gateway and you can use credit/debit card to make payment online only. If you are purchasing ticket from the branch then you have to pay over there by credit/debit card only. d) Validity of each ticket of each category is only for one day and for one person i.e. single entry single day. There are some food courts inside the camp for visitors where they can get their food and beverages etc. There is no sitting arrangement for any visitors, we have huge vacant space and you can enjoy the Air Show by standing in that space. There are five fantastic acrobatic team is coming to perform their show. They will perform their stunt all five days , so you can enjoy the show any one of the day. Are the children required to buy the tickets? Registration is not required for children below 5 years old. I have registered in the aero india website and have paid Rs.600/-…Can I go to the venue and get the ticket there itself?? Also if that is the case, in which entry should I get the ticket?? Or should I get the ticket from Axis Bank by showing the registration copy? You will have to collect the ticket from one of the 10 Axis bank outlets mentioned above. can i buy tickets directly from the mentioned axis bank without registering in the aeroindia site. If I am not wrong, you need to register first. In case you can buy directly, do update here to help others. glad you found this helpful Varadharaju. Sir I would like to go on 20th feb aero india2015 show and even I have not registered,where shall I get the tickets,is it available in forum mall and garuda mall? Wii you please guide me. I do not think its available at Malls unless someone else can confirm. Please register online and collect ticket from the bank. Registration link available in the post. TOO many wrong info about this Airshow…. HI the aero space tickets r available only in axis bank and its already tickets closed . Do you knw anything about student discount? Can we get tickets on spot? I do not think Student discounts are available. i have registered and paid for the tickets online. axis bank in sahakara nagar says, we can collect the tickets at the venue only from today. Called the aero-india number but it is busy. i would like to know if we can collect today and go for the show later. please llet me know. Thank you. Sorry, I am not sure about that. In case you do find the answer to this please update here to help others. i collected the tickets at the venue itself today around 3.30 pm through my driver. sent the my id which i used for the tkt registration. one id for all the 4 tickets i had booked is enough.i can go anytime once for the next 4 days. my driver had to search for the ticket collection place, it seems. if possible, collecting the tickets earlier will be a time saver on the day you visit. Thank you confirming and sharing this information Padmapriya. That should help a lot of people and get them to ease. Good tip on collecting ticket earlier! can we collect ticket at the venue place?? Address of the venue please? Yes, I think you can. All kids under 5yrs do not need to be registered. Is it availability that I can get the tickets directly onsite, bcoz in whitefield branch the tickets are sold out. Please let me know the possiblity to avail tickets. Maybe you can try registering online and then collect the ticket at the venue. It looks like Axis bank has stopped issuing tickets. I do not think you can buy tickets at the venue. Do 3 yr kids r allowed for general entry aero show. . Plz let me know do dey allow on all days. .
Children under 5yrs should be allowed without any registration on all days. can i get the tickets directly at the air base entrence gate? I enquired in electronic city axis bank branch, they are saying issuing tickets at the bank is closed and we need to collect it near the entrence gate, Is this inf is true? This seems to be the experience of some other folks as well. Unfortunately, I do not have information on this. Please do update here based on what you experience so others can find it helpful. You are right.. my bad – its under 5yrs and now 6. Thank you so much for sharing the info and answering queries. Could you please answer this too? I would like to take my family (wife and kid (7 years)) to the airshow. Do we need to puchase separate ticket for each person by registering each of them seperately? If so, what can be entered as the identity proof for daughter since she dont have any of those listed? can you please tell what are the timings for aero acrobatics. It says 9am to 5pm but i know it happens in the evening once, does it happen once in the morning also? if so whats the timing? their stunt all five days , so you can enjoy the show any one of the day. If someone can update here after watching the show, that would help! can you please me the timings of the acrobatics show? i know it happens once in the evenings. does it happen in the morning also? thanks. 600 for general and 2500 for business. I believe the ticket price is set at 2500 for weekends. Can someone else confirm? Make sure you select general visitor area and not visitor exhibition area which priced at 2500 only on weekends. 2500 and 600 tickets are accepted on all days. Only difference is 600 you can see only Airshow, where as 2500 you can see stalls also. useful info… though just one more day left! what are the show timings and what time should we be there before the show starts. General timing is available but the show timing is not. Check the new updates to this blog post for some guidance. I have finished registering and the entire payment procedure. however the page redirected to the aero india page where the page says transaction not successful, please try again. I have not selected the timings or the day as well. Hi Andre… I have already responded to this on the messenger. But for other’s sake, I believe you need to treat this as any other online payment. If the transaction fails, the bank will revert the payment ideally in a few days. You on the other hand need to retry in order to complete registration. The final success page is what you will need to carry to collect the ticket. I did register….for myself n paid..i wanted to buy some of my friends too…is it possible for me in the same name??? No I think you need to register for each person and they have to carry the online copy with the correct ID Proof. I plan to go tommorow just a quick question is the registration instant or does it verify and take time? Someone who attended today should be able to confirm this. If your question is around online registration, that should be instant. I have registered for the show today. But there was no option to pick a date of my interest . So, does that mean I can go on any one of the dates mentioned above ? Seriously..? Even this is not spared! I visited Air show last time in Bangalore and visiting this time as well. we can book online and collect the tickets at the venue.Even if u have not booked online, u can get the tickets directly at the venue by paying the money. Acrobatic teams and other aircraft’s will perform at regular intervals in a day, may be 3 to 4 times. so even if u not booked online or not bought from banks, u can directly go to the venue and buy tickets. This is really helpful for everyone Murugeshan.. Thanks for sharing! Thanks a ton! Really useful information. Hi,Can somebody who have attended the aero show today confirms if we can collect the tickets at the venue ,and there is no need to go to axis bank.I have booked business visitors ticket today morning and got to know from this blogs people saying its not available in Axis banks…Kindly somebody reply asap. According to one person in comments you can buy tickets at the venue. To be safer, you can register online and then go collect at the venue. Online registration is done before the start of the show that means before 18th Feb. Now online registration is closed…..
Well I did notice online registration in progress yesterday. Not sure about today. What I need to give in the title ?? I did registered n the transction was successfull…i got a mail regarding this..ID number is been given..this alone id number r enough to take print out and along original documents to get a ticket..at the venue?? Take a print out of your success mail. Someone mentioned that you can but I cannot confirm the same. In case you do find the answer, please update here to help others. What is the difference between the 600 and 2500 rupees tickets? Is it worth going for the 2500 ticket? What are the extra things you get to see in 2500 ticket? I have booked 2 tickets where unfortunately i gave the wrong name in one of the ticket. Will this be a problem as the person accompanying me doesn’t have his name printed in the ticket? I need go for aero India 2015,and I need 6 tickets for show, but I have not registered. So called the mentioned above for bulk order. He asked me to come to yelahanka domestic area. So can please provide me the complete address of it. Nopes. As far as I know. U can buy the tickets of general visit 600 from gate no 8 n 9 directly u can buy any number of tickets the payment mode is only through debit or credit card no cash is entertained…if ppl r registered through online shld have the id number of mail copy…u can take ur tickets..
And they wont check any specific name of a person..its just lik buying a movie tickets…carry ur original id…600 is oly for the performance view…u wont b accesed through exhibition area. 2500 is business class u avail entry to all the stall. That’s really helpful info Dhruv. Thanks for sharing! What about the dress code. is it mandatory. For general public is casual dress allowed ? a) if registration done online and no confirmation mail received and no response from ourganisational email id of itsupport then what ? I agree with most of the points mentioned Shambhu. The site is really bad. Hopefully the comments here by others will help you to an extent. Would we know What time the ‘performances’ planned on Sat and Sun? Does one have to stand throughout the show or is there any kind of seating arrangement present ? I have made the booking using my Adhar card details of which I don’t have the originals with me but have my PAN card original. Will it be fine for their verification?? Ya.. Any ID Proof should do but I will let others confirm. I have two kids below 5 years of age. Shoudl i take any ID proof for them or not required. I just had their school ID cards, One is of 4 years 1 month and other is of 2 years 3 months. School ID cards will do. Can you please confirm whether PANCARD comes under Govt ID? i successfully registered for the event. plus I received a sms stating the same. but i didn’t receive any confirmation mail? is the sms and unique registration id enough? I dont understand what is the difference between registeration and booking a ticket? It is not friday evening, I dont think that the banks will be open on saturday -I think someone has mentioned that they are no longer issuing tickets-!! Also, I cant find the online website!! Looks like the only way to get tickets now is at the venue. Some people confirmed that the tickets are available there. Sorry.. I wasn’t sure about the answer to your query. Hope you could sort this out. Can we wear jeans and shirt for the show..or is it not allowed? Cant find the online booking ? what is the difference between registration and booking a ticket? Registration involved paying for the ticket and then collecting it at the venue during the show days. I hope you got to watch the show. Do share your experience. can children be allowed without a pass when they are below ten? A scientist of a CABS said so. Thanks for all the information u have provided and to all who have shared their. Great job???? thanks.. as long as this helps some people.. I am happy. yup.. looks like that’s been happening. Hi. Does anyone know what time the air display starts? Or do they have them all day between 0900-1700? Also are you allowed to walk around the parked aircraft with the adva only ticket? Or do you have to pay for the general access one? Very useful site – thanks for this piyush. thank Mrinal. Based on comments, exhibition area is not for 600rs pass. You need to shell out more. Air show happens about 4-5 times in the day. Do I need to register online, even if I want to buy tickets at the venue??? you can try your luck at the venue or check with Prabu whose details are in comments here. I would like to take my family to the airshow on 22Feb15.Does 8 years old children has to ticket?. yup.. rules say 5yr and above need tickets. Great site and the only one that pops up when searching for aero show tickets to see user comments. I am writing this for the benefit of those who may want to go on Sunday which is the last day. I did not have any tickets for me or my 5 and a half year old son. I did not do any registration online either. I went there based on some comments on this forum that said you could get tickets at the venue. I left at 1130 and took me 3 hours (from old airport road) to reach gate 5 which comes after a u turn. They asked me to not turn inside gate 8 and forced me to move ahead (to regulate traffic at the cost of inconveniencing me I think) and when I went past that gate that’s when another cop said gate 5 is the one that I needed to go to which came after a u turn. Spent one hour just getting into that gate. Blessing in disguise since after the aero show if I would have had to take a u turn I would have spent another hour or more easily just for that! Rs 600 would have given me a ticket with entry from gate 8 which was 5 km away so I took 2500 one (worth every penny even though I didn’t visit the stalls). No queue at the ticket counter. And they wouldn’t accept cash I think (I paid by card). They didn’t charge for my son even though I told them he was 5 years old. 2500 ticket had the entry that was only about 15 mins walk even though there are shuttles running but there were long queues. At the venue we were at a place where we could see the screen, the live show of course and hear the commentary as well. After the show we walked back and it took us one hour to just get out of that gate 5. Took me 3 hours to get back home. I would strongly recommend carrying food and lots of water in the car. They don’t allow food inside but one can buy food and drinks inside. Carry sun glasses and caps. Umbrellas are irritating given the crowd. They have loos at the venue so we didn’t face any problem but after the long ride and before the long return ride it’s a must to pay a visit to the loo as you are not sure how long it’s going to take getting out of the venue! If I had left early in the morning I probably would not have faced the traffic issue. Hope this has been helpful. Just wanted to add that I went there today (Saturday) so Sunday would be no different in terms of traffic. Leave early if you plan to visit. I am.planning for today that is 22 Feb , I haven’t registered but my friend has the passes . He just got them . I don’t know if its genuine?? Hey thanks for the information. .
Its a Biennial event in Bangalore. I believe the next one will happen in 2017. And which is good one to see and is it worth to buy ‘Visitors Exhibition Area’, it is bit costly..! Visitors Exhibitions Area is a section where they have more information, technology and planes on display for visitors. The main event is still the air show. can I get to know about the schedule on Saturday 18 Feb? I’m planning to buy Business visitors pass and leave for the show as early as possible in morning around 8 am. where should I get off from the bus if I’m coming from hebbal ? I couldn’t find an elaborate schedule. Will let someone respond incase they have additional information. There are quite a few buses that ply close to the Yelanhanka Air Force Station from Hebbal. Its a silly question. is the air show daily? or exhibition is on all days and air show on just Saturday? I want to go when the planes will be flying, not standing for the exhibition. All days.. twice a day – morning and afternoon. Hai I booked the tickets. I got unique number. So I need clarification that whare I can confirm the ticket. In coffee day shop.or any whare else I am in K r Puram. Bangalore. You can collect tickets at gate. Sir, today morning I booked tickets for 2 and I also received my unique number but I guess i was supposed to get an Email conformation regarding it which i did not get. so what should I do? plz help me out. unique code and ID proof is enough. Hi Piyush, my son is 5yrs n 10 months old. Do we have to buy tkt for him tooo? As per rules, not required for upto 5yrs. I think you can get past without registering your kid since it’s not 5 yet. Can I watch the air show as well with that ticket? The site says “valid for all area excluding chalets & ADVA”. Do you have any info regarding that? You do not have access to ADVA but people confirmed you can watch the show from exhibition area as well. Thanks Piyush! Appreciate your help! I havnt registered online and I’m wondering if I can go to the show tomorrow directly and buy one from there..is it possible? Can we collect the tickets at the venue today?